The Indian society has gradually understood that the girls have an equally important role in the task of national building. 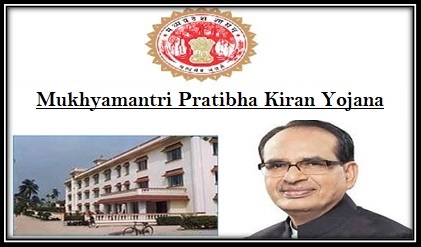 Thus, to help the girl students in pursuing their dreams of acquiring higher education, the state government of Madhya Pradesh has implemented the Mukhyamantri Pratibha Kiran Yojana. Under the program, the authority will give monthly grant to deserving candidates. Empowering the eligible female candidates – With the assistance of this project, the state wishes to extend a helping hand towards the betterment and empowerment of the female students of the state, who are not financially equipped to meet the expenses of higher education. Beneficiaries list – As per the details highlighted in the draft, the female candidate can pursue any subject they prefer, in the colleges that are located in the state and are government by the State Education Board. For all streams – The state authority has announced that the students will be selected from all academic streams. Thus, the medical, engineering and general candidates will receive the benefits. Financial assistance – The monetary assistance will be dispatched every month by the state government. There are two separate slabs. An amount of Rs. 500 will be given to the candidates who are pursuing normal subjects. An amount of Rs. 750 will be given to the engineering and medical students. Tenure of the grant – It has been stated that the state authority will provide the monetary assistance for a term of 10 months for the time being. Distinct reductions in the fee – To assist the poor students, the authority has declared that special discounts will be given to them. They will have to pay less hostel fee and tuition charges. Must be a resident of the area –As the funds will be provided by the state authority, only female candidates, living within the borders of MP will be able to apply for the monetary assistance. Studying within the state – The applicants must take admission in any college that is under the State Education Board and is within the state borders. BPL candidates – Only those candidates who fall in the BPL category, will be allowed to apply for the benefits of the scheme. Thus, it aims at empowering the poor strata of the society. Marks related criteria – Only those female candidate who have succeeded in securing first class marks in the school leaving exam of 12th standard, will be allowed to apply under the project. Must get admission in colleges – The state authority will provide money only to those girl students who have registered in the colleges to get education beyond school level. No gap in academic history – There must not be any discontinuation in the academic history of the candidate. A girl is passing the 12th standard in 2015, the college admission must be in 2015 as well. Not for distance education – It has also been mentioned that the candidates, opting for the technical, medical or normal streams must get admission in a regular course. The grant will not be given to those who opt for distance education system. Residential papers – The candidates must furnish adequate documents, which will assist the verification department in clarifying the residential claims. Aadhar or ration card, voter ID etc can be used. BPL certificate – The scheme is for improving the situation of poor families, the candidate will have to provide income certificate as well. Attaching a photocopy of the BPL certificate is a must. Aadhar Card – It has been mentioned that each candidate will have to provide a photocopy of the Aadhar card. Without the Unique Identification Code, the application will not be processed for further verification. Mark sheet and school certificate –The candidate will have to attach a photocopy of the final result of 12th Along with this, the school certificate, issued from the respective school is also required. College admission papers – The candidate will also have to submit all college admission papers with the application form. It will support the claim made by the applicants about the attaining higher education. Age proof of the candidate – To ensure that there has been no gap in the academic history and for supporting the age related criteria, the candidate will have to provide the certificate of age as well. Bank account details – The grant will be deposited in the bank account. It means that it is mandatory to have an active bank account in any bank and account number, bank details etc must be provided. All eligible candidates who desire to receive the monetary assistance will have to submit a properly filled application form. To get this registration form, the interested candidate will have to approach the office of the respective college. The http://scholarshipportal.mp.nic.in/sLogin.aspx link must be clicked to get the online version of the application form. The form must be downloaded from the mentioned link. In case of any doubts, the candidate can get the required information from the respective Panchayat Samiti, Gram Panchayat, or the Higher Education Department of Madhya Pradesh. Only offline application mode is available for the applicants. As it has been mentioned that the registration form can be acquired from the link or from respective offices of the government or college authorities. Once the form has been acquired, the candidate will have to fill in the respective blank spaces as it has been marked. The personal and academic details are required along with the income and Aadhar details. After filling the application form, the candidate needs to recheck the details. Any error in the registration form will result it is cancellation. When everything is in place, then the required documents must be attached with the registration form. The list of documents required has been mentioned above. The candidate needs to paste a recently clicked passport sized image for assisting the task of personal verification by the officials. After this, the application form needs to be submitted at the office of the respective college authority. It will be verified and sent to the state department that deals with the grant related activities. Once the candidate click on this link, another page will open in a new tab. The page can be reached directly by clicking on the link http://scholarshipportal.mp.nic.in/sLogin.aspx. There are three separate fields marked in the page. The candidate will have to type in the application ID and then the respective password. Then the capchat code has to be typed in the respective filed. Once this has been done, the candidate must click on the Login button. It will trigger the site to display the current status of the application. Till date, the state government has been able to assist interested and poor candidates in developing their academic standing with the grant amount. Though the amount is not massive, it is a promising start. For now, the state authority has allocated a sum of Rs. 200 lakhs for funding the project.